Transform your existing coax into a robust IP platform. Making your IP modernization simple, secure, and cost- effective.  Press Play! Learn how you can leverage your standard Ethernet switch to extend IP connectivity to 6,000ft (1,830m)! Press Play! The award-winning CHARIoT solutions, with patented SmartPathPoE™ technology, leverage Coax, Single-Pair UTP (Unshielded Twisted Pair) and Multi-Pair UTP to create secure and robust PoE connections for devices up to 6,000ft (1,830m) away from the application. Leverage these Modern LAN innovations for your next IoT project. 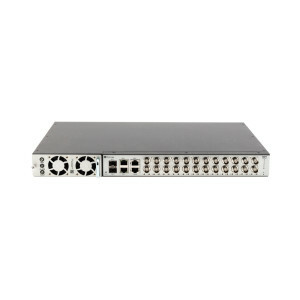 The CLEER24 (Coax Leveraged Ethernet Extended Reach) managed switch makes the modernization to IP devices (IoT) simple, secure and cost-effective. When paired with the EC Adapters, this powerful enterprise-grade switch delivers fast Ethernet and PoE+ over coax cable with up to 6,000ft (1,830m) reach – that’s 12Xs the reach of standard Ethernet switches. The CLEER24 comes standard with robust power management capabilities and an industry leading, simple to use GUI interface. 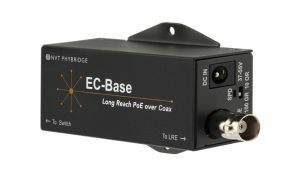 The plug and play EC10 (Coax Leveraged Ethernet Extended Reach) unmanaged switch makes the modernization to IP devices (IoT) simple, secure and cost-effective. 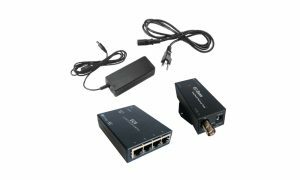 When paired with the EC Adapters, this powerful enterprise-grade switch delivers fast Ethernet and PoE+ over Coax cable with up to 2,000ft (610m) reach – that’s 6Xs the reach of standard Ethernet switches. 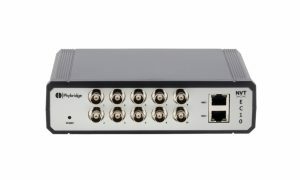 The NVT Phybridge EC-Base Extender Solution is designed to supercharge the downlink ports of a standard Ethernet switch delivering 10/100Mbps symmetrical (full duplex) and PoE over Coax infrastructure with distances up to 6,000ft (1,830m). That’s 12X the reach of standard Ethernet switches, thus removing the costs and disruptions associated with multiple IDF closet requirements. 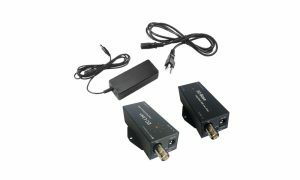 Each EC Extender Kit is conveniently packaged and includes an EC-Link+ or EC4 Adapter, an EC-Base Extender, and an external power supply.